Two recent decisions from the Florida Supreme Court that reversed rulings by the same District Court of Appeal will have a serious impact on the insurance industry. The consequential rulings came on Sept. 20, 2018 in the cases of Harvey v. GEICO General Insurance Co., and Odom v. R.J. Reynolds Tobacco Co. in which the Florida Supreme Court’s used its power of discretionary review to reverse decisions by the Fourth District Court of Appeal. In Harvey v. GEICO General Insurance Co., No. SC17-85, So. 3d (Fla. Sept. 20, 2018), the Florida Supreme Court found there was support for a jury’s finding of bad faith and held that the Fourth District “misstated” the law. It’s 4-3 ruling reversed a Fourth District Court of Appeal decision siding with GEICO General Insurance Co. in a $9.2 million judgement against the insurer. The case stemmed from an automobile accident that caused a man’s death by the plaintiff’s vehicle, which was covered under an insurance liability policy of $100,000 through GEICO. The auto insurer tried to settle the matter by providing the man’s estate with a check for the full policy limits. The estate argued that GEICO failed to provide a statement from the insured plaintiff, which might have indicated the plaintiff’s assets. The estate returned the check and filed a wrongful death suit against the plaintiff, and a jury awarded the estate $8.47 million. The plaintiff then filed a bad faith claim against GEICO, claiming that the attorney for the estate would have advised the estate to settle for the insurance policy limits had he known that the plaintiff would not have sufficient assets to cover a potential jury award. The jury found that GEICO had acted in bad faith and awarded the plaintiff a judgment of $9.2 million. GEICO appealed and the Fourth District Court of Appeals reversed the award, concluding that the plaintiff had not provided sufficient evidence of bad faith because even if GEICO acted deficiently, it did not cause the excess judgment against the plaintiff. In the Sept. 20 majority opinion to reverse Fourth DCA’s decision by the Florida Supreme Court, Justice Quince, joined by Justices Pariente, Lewis, and Labarga, found there was competent, substantial evidence to support the jury’s finding of bad faith, and held that the Fourth District “misstated” the law. Justices Canady and Polston dissented in separate opinions, joined by Justice Lawson, that the Florida Supreme Court lacked jurisdiction to hear the case because the Fourth District Court’s opinion did not expressly and directly conflict with prior Florida Supreme Court decisions. Justice Canady also wrote that the Fourth District Court had correctly reversed the trial court for lack of sufficient evidence. In an amicus brief, the Florida Justice Reform Institute also argued that the court should discharge jurisdiction because the Fourth District’s decision did not expressly and directly conflict with a prior decision on the same question of law. The decision confirms that the Florida Legislature must set clear, objective standards in statute for avoiding bad faith while settling insurance claims. In this case, GEICO tendered its policy limits in nine days, and the Fourth District Court of Appeal concluded that GEICO had fulfilled every obligation it owed its insured. Yet, the Florida Supreme Court still found room under precedent to allow a jury to turn a $100,000 insurance policy into an $8.47 million judgment. In the Florida Supreme Court’s reversal of the Fourth District’s decision in Odom v. R.J. Reynolds Tobacco Co., No. SC17-563, So. 3d (Fla. Sept. 20, 2018), the court disagreed that a trial court had abused its discretion and found that the Fourth DCA had erred in a creating a cap on noneconomic damages. In this case, the financially independent adult child of a parent who died from lung cancer sued a cigarette manufacturer and sought noneconomic damages under Florida’s wrongful death statute. The jury awarded the plaintiff $6 million, which was later reduced to $4.5 million as a result of the jury’s finding that the plaintiff was 25 percent at fault. The manufacturer moved for a new trial or a reduction in damages, which was denied by the trial court because of the close and unique relationship between the plaintiff and her mother. The Fourth District Court of Appeal found that the trial court had abused its discretion in in denying the motion for a new trial and the motion for remittitur. However, in a 5-2 decision, the Florida Supreme Court reversed the decision of the Fourth District and found that the trial court did not abuse its discretion. The court also found that the Fourth District erred in creating a cap on the amount of noneconomic damages that may be awarded to a financially independent adult child for the wrongful death of a parent. Again, Justices Canady and Polston dissented, and agreed with the Florida Justice Reform Institute’s argument in another filed amicus brief that the Florida Supreme Court did not have constitutional authority to overturn the Fourth District’s decision without a conflict. The Institute argued that the Florida State Constitution gives the Florida Supreme Court limited authority of discretionary review. Without an express and direct conflict between appellate decisions on the same question of law, the court’s decision to take up this case exceeded that authority. Their actions risk depriving litigants of the finality that the district courts of appeal are meant to bring. 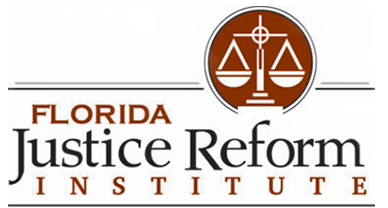 William W. Large is the founding president of the Florida Justice Reform Institute. Prior to serving as president, Large served as deputy chief of staff for former Florida Governor Jeb Bush, responsible for a portfolio of health and human service agencies. Large also previously served as general counsel for the Florida Department of Health and during that time served as director of the Governor's Task Force on Professional Liability Insurance. Large was also a partner practicing in professional malpractice litigation defense. In 2011, Large was appointed by U.S. Senators Marco Rubio and Bill Nelson to serve on the Federal Judicial Nominating Commission for the Northern District of Florida, and has been reappointed since.